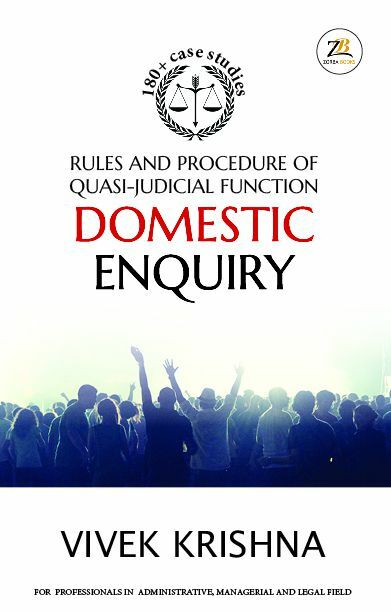 The current book on Domestic Enquiry covers, defines and describes all relevant topics in required detail. Case Laws have been mentioned selectively to emphasize the points wherever required. Specimen copies of Delegation of Authority, Charge-sheet, Dismissal and Discharge Letters etc. have also been given. The book will be of good use to Managers, Administrators, Legal Professionals & Management Students specializing in Human Resources and Personnel & Industrial Relations. Industrial Relations from Xavier Institute of Social Service, Ranchi. He has passed LL.B. from Ranchi University, Ranchi.